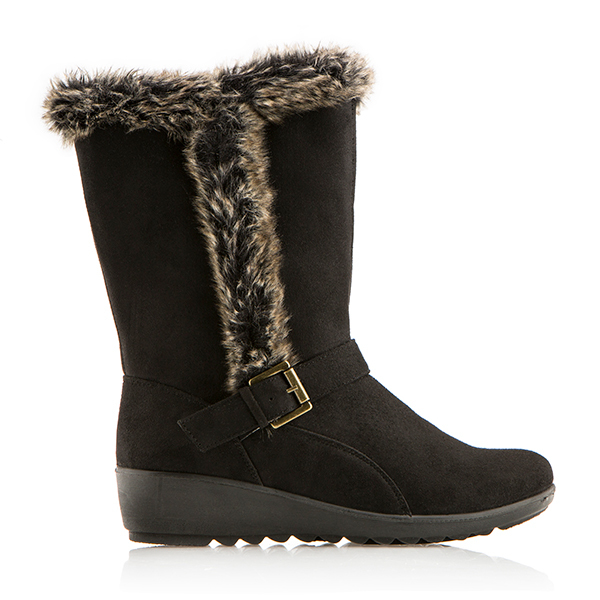 Instant style and confidence with faux fur trim and lightweight, non-slip sole. This gorgeous pair by Cushion Walk feature a zip fastening to get them on and off easily, as well as an ankle buckle strap detail. Fabulous to wear casually and day to day.